The spacecraft lifted off on a Falcon 9 rocket on June 29 from Cape Canaveral Air Force Station in Florida. 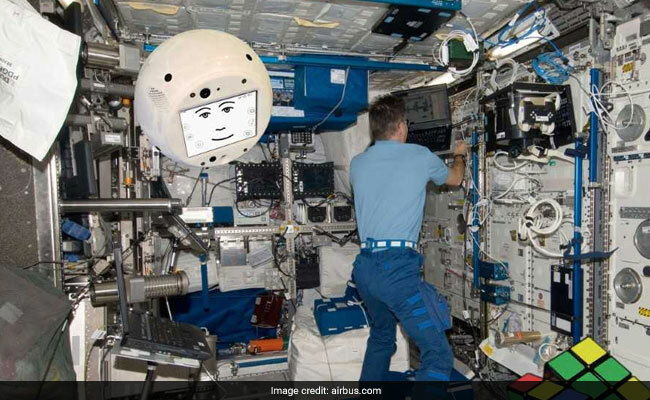 Artificial Intelligence robot named Cimon is aboard SpaceX Dragon, with 2,600 kg of research materials. A SpaceX Dragon spacecraft loaded with about 2,600 kg of research materials and supplies, including an Artificial Intelligence (AI) robot named Cimon, reached the International Space Station on Monday, NASA said. "Capture confirmed! Dragon now attached to the Space Station robotic arm," SpaceX tweeted on Monday. NASA astronauts Ricky Arnold and Drew Feustel captured the Dragon spacecraft using the space station's Canadarm2 robotic arm, the US space agency wrote in a blog post. Among the research arriving on Dragon is a cellular biology investigation (Micro-12) to understand how microgravity affects the growth, gene expression and ability of a model bacterium to transfer electrons through its cell membrane along the bacterial nanowires it produces. The pilot study with Cimon is a technology demonstration project, and an observational study that aims to obtain the first insights into the effects on crew support by AI, in terms of efficiency and acceptance during long-term missions in space.